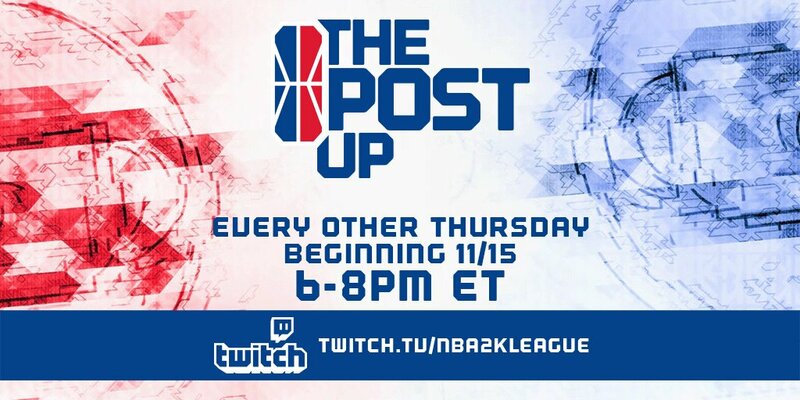 The NBA 2K League officially unveiled their new show: The Post Up, to begin this Thursday, November 15. Here’s everything you need to know about the show as a whole and its first iteration. When will it be? Every other Thursday, from 6-8pm EST. Where can you watch? The show will be on Twitch (twitch.tv/nba2kleague), which has a multi-year contract with the league. What’s the format? There’s no set format yet, but the show will be hosted by NBA 2K League Insider Jeff Eisenband and The Shadow League’s Erin Ashley Simon. The show will also feature guests and names from around the league and the community. What’s special about the first episode? The first big guest will be league commissioner Brendan Donohue, who will reveal details about the season-two combine. Knicks Gaming point guard iamadamthe1st will also make an appearance on the show.